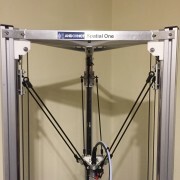 SpatialOne is a fused filament fabrication 3D Delta printer designed for robustness and accuracy of the moving parts. A kit with manufactured sheetmetal and machined parts, powered by a smoothie board with industrial bearings. 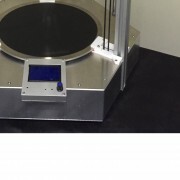 This is a robust delta printer that can print big parts in a wide range of materials. 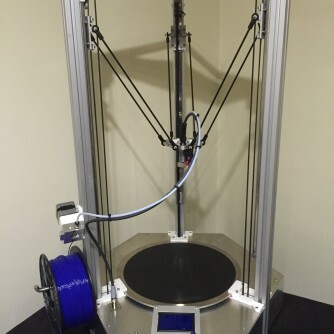 This is not a basic or toy 3D printer, it’s a solid design using high quality components, engineered well to give repeatable high quality prints. 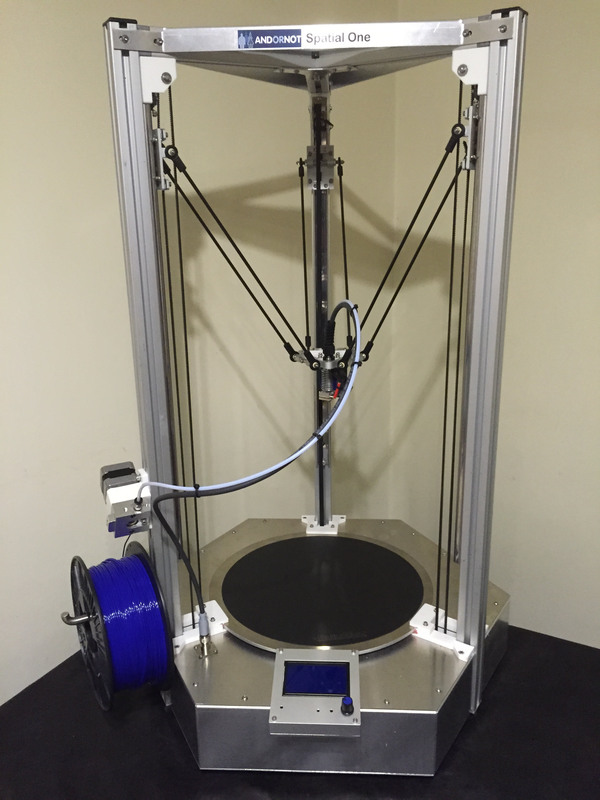 The nature of this 3D printer means it can and will be expanded for different tools, uses and capabilities. Various tool head designs that will be released as Open-Source files and models for you to use on the SpatialOne and will be available to purchase from this website and print if you prefer non machined parts. These include ceramic and clay printing, Laser etching, flexible filament printing, chocolate printing and other modules. SpatialOne kit is pre-assembled to reduce your build time so you can start printing and enjoy your new printer as soon as possible. Each kit will have full documentation based on engineering drawings and build instructions, you can also download these from the website. 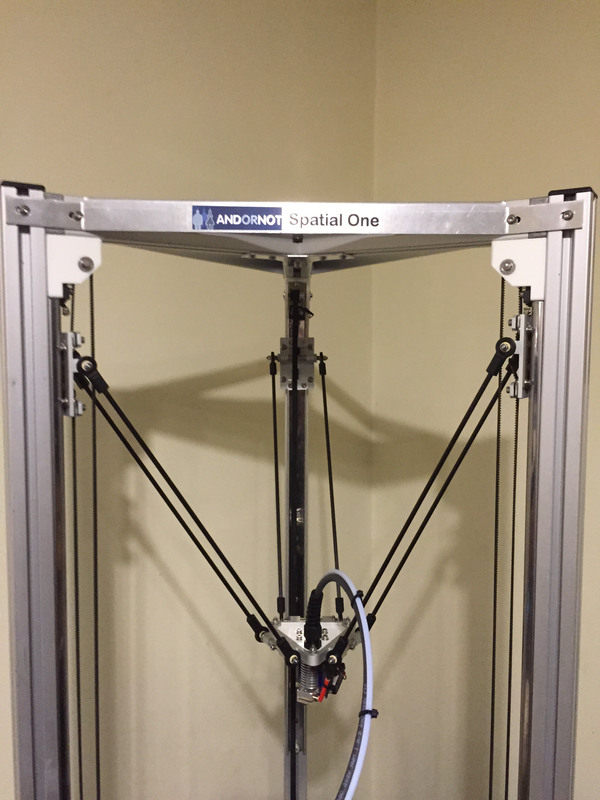 SpatialOne is designed in such a way that the bottom plate of the machine is also a jig plate to set the angles of the vertical legs to ensure an accurate build. There is no soldering or crimping all cables pre-assembled ready to be connected. Please note delivery up to 20 working days. 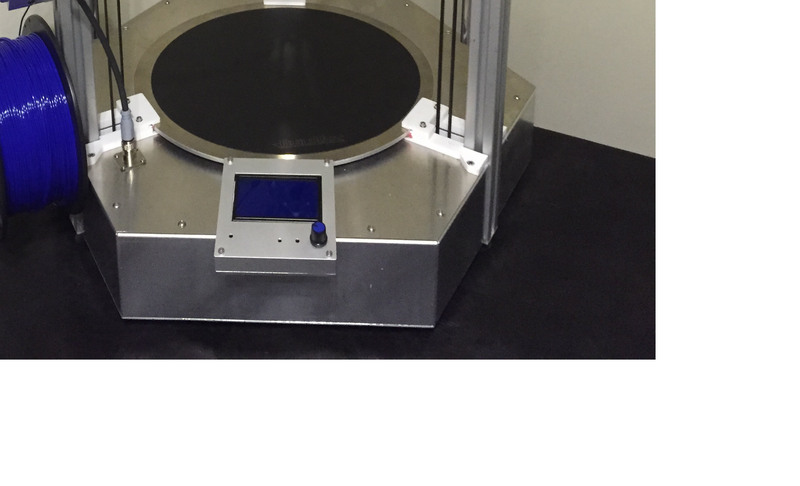 Travel speeds of 500mm/s and print speeds up to 300mm/s. Robust metal construction, cnc laser cut sheetmetal parts and cnc machined parts with some printed parts. E3d Online v6 hot end, all metal extruder with stepper and gearbox. Preloaded ball raced vertical slides to eliminate any adjustment required and play. Igus rod ends and misumi industrial bearings. Smoothie board 5xc, capable of dual extruders, with GLCD graphic controller, can be run standalone or via usb cable. 24VDC @ 500w and 12VDC @ 15w, Meanwell power supplies. Aluminium heated bed levelling using z probe built into the end effector. Auto levelling of the bed using calibration functions built into the smoothie board and auto z height set before each print. Interchangeable end effector, currently with a single hot end, further developments such as dual extruder, chocolate printer, Laser etching, flexible filament printing and ceramic printer. 12 way plug and socket for easy swap between different end effectors.